Linda Hershman, LMFT is the founder of Couples and Family Wellness Center. She has practiced couples and family therapy for more than 20 years. She is a licensed marriage and family therapist in Pennsylvania and New Jersey and is certified in Discernment Counseling. This is a brief form of counseling to help couples decide whether they want to work on their relationship or move toward divorce. She also is certified in EMDR, an approved trauma therapy. Linda obtained her master’s degree from Chestnut Hill College, then completed her training at the Philadelphia Child and Family Therapy Center. She served as the family therapist at Hutchinson Place, a (now defunct) residential treatment center for substance-addicted women. Linda then worked at Belmont Center for Comprehensive Treatment. She started as the family therapist in the Inpatient Eating Disorders unit, then was asked to establish the marriage and family for the outpatient addictions department. 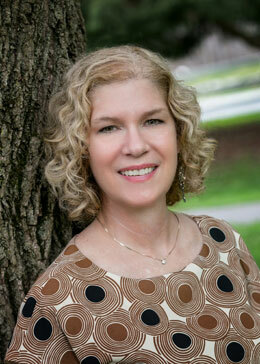 In 2005, Linda left Belmont to establish a private practice. She currently sees couples, adults, and adolescents. In addition to offering therapy, Linda is an Approved Supervisor with the American Association of Marriage and Family Therapists (AAMFT). She provides supervision toward Pennsylvania and New Jersey licensure and for those wishing to earn the Approved Supervisor designation. She offers consultation of EMDR for certification after basic training. Linda has presented at professional conferences, including the American Family Therapists Association and the New Jersey Marriage and Family Therapists annual conferences. She gives workshops for mental health professionals and the public. She is also currently available for presentations. Linda has written numerous articles for the PA Association of Marriage and Family Therapists newsletter, numerous magazines, blogs, and newspapers. Linda was interviewed as a parenting expert for Main Line Today magazine’s issue, “A Guide to Divorce on the Main Line.” She appeared on the talk show, American Family, and as an authority on relationship issues and substance abuse for local radio and television news. On a personal note, Linda has a unique understanding of the challenges of parenting special needs children, living with genetic and autoimmune disorders, and blended families.